Of all of the items, accessories and parts in a bedroom, it is unquestionably the bed that makes a real statement. An absolute essential and necessity, the bed offers solace amongst an often hectic home, and is the ideal place to rest, relax and rejuvenate. However, choosing a bed is not all that easy. With a seemingly endless array of designs, styles and options, picking your ultimate rest haven can feel overwhelming. If you’re looking for something to impress and inspire, we’re here to help. We’ve gathered 10 wonderfully unique bed designs that are sure to get your creative juices flowing. From classic upholstered luxury to a private setup that suits a one-room home, there is something for all tastes and preferences. Ready to be inspired? Check out our top 10 picks below! 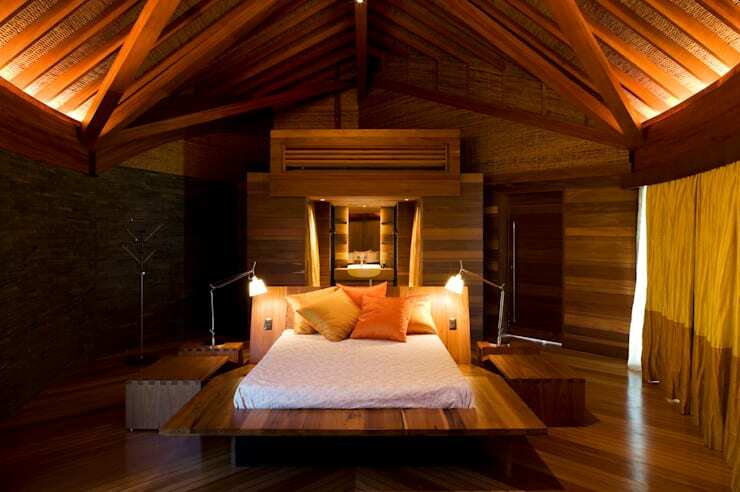 Our first bed sits atop a timber platform, and offers its occupants a sense of luxurious refinement. Graceful, welcoming and warm, the bed is stylishly lit by two overhead lamps, and is wonderfully tempting. For an enduring yet lavish bed, you simply cannot look past this upholstered and tufted example. Timeless and elegant, this style of bed will appeal to all that enjoy a comfy royal-esque rest. 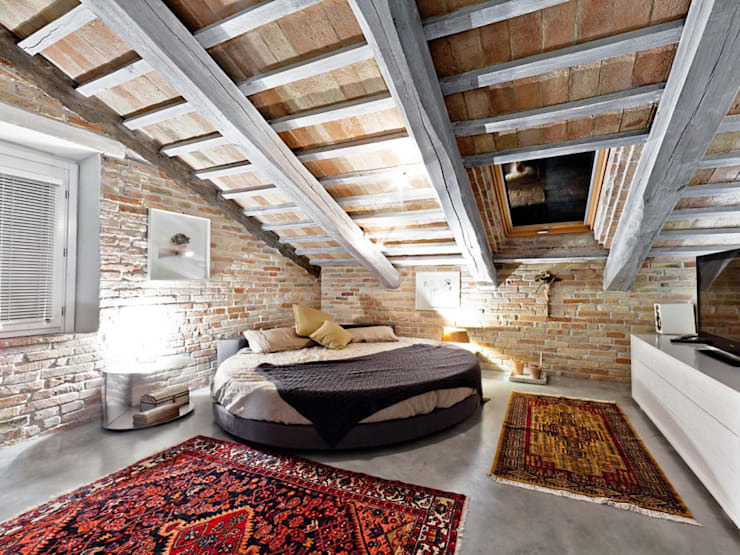 Have you ever seen a bed suspended from the ceiling? If not, then take a peek at this incredible example! 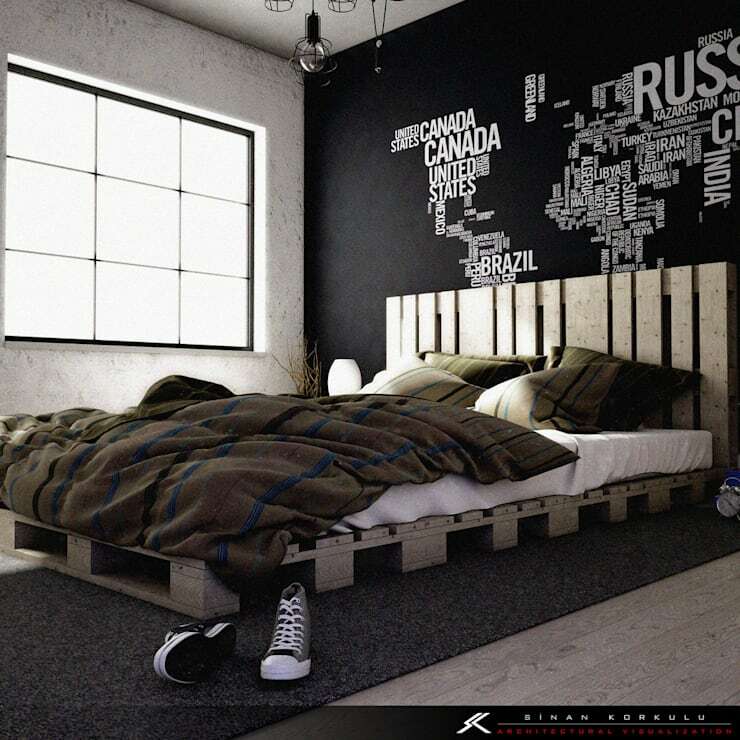 Rustic, with a hint of futuristic elegance, this bed is sure to create conversation and a talking point for your home. 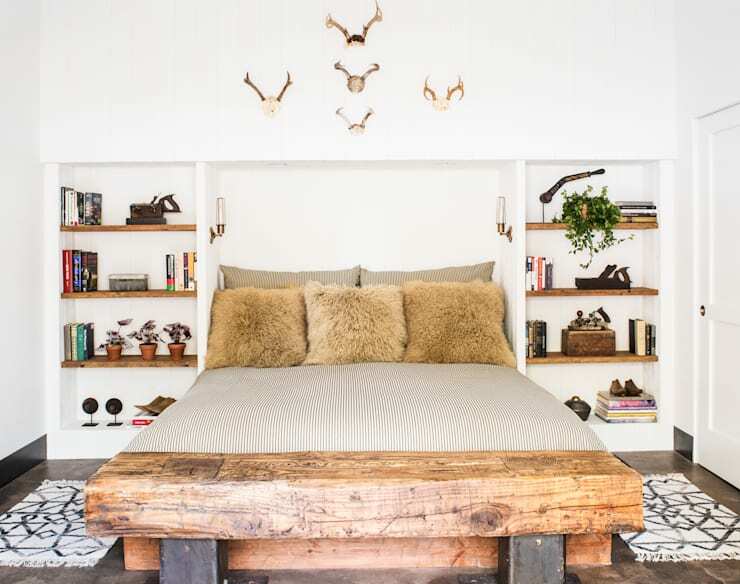 Boasting vintage accessories, interesting accoutrements, and a sense of rustic charm, this room has been designed by its interior decorators to appear alluring and enchanting. Next up, we're taking a peek at a setup to suit one-room apartment dwellers. 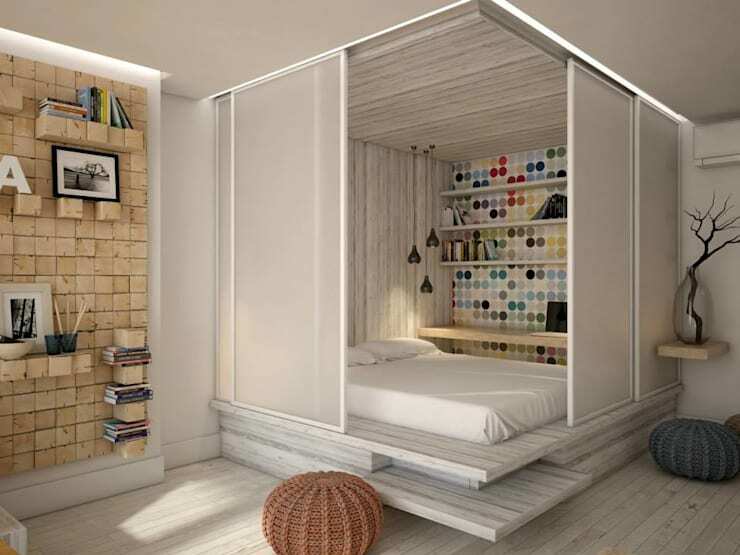 Designed with sliding doors that can be closed or opened, this bed is sure to improve your studio home’s functionality and liveability. Have you come across some disused pallets you’d like to rehome? How about transforming and repurposing them into a stylish bed? Industrial and urbane, this is a great way to upcycle and be a little eco-friendly. Does a bed really need to be rectangular in shape? We don’t think so, and this example proves us right! Stylishly circular, this room is charming and full of character. 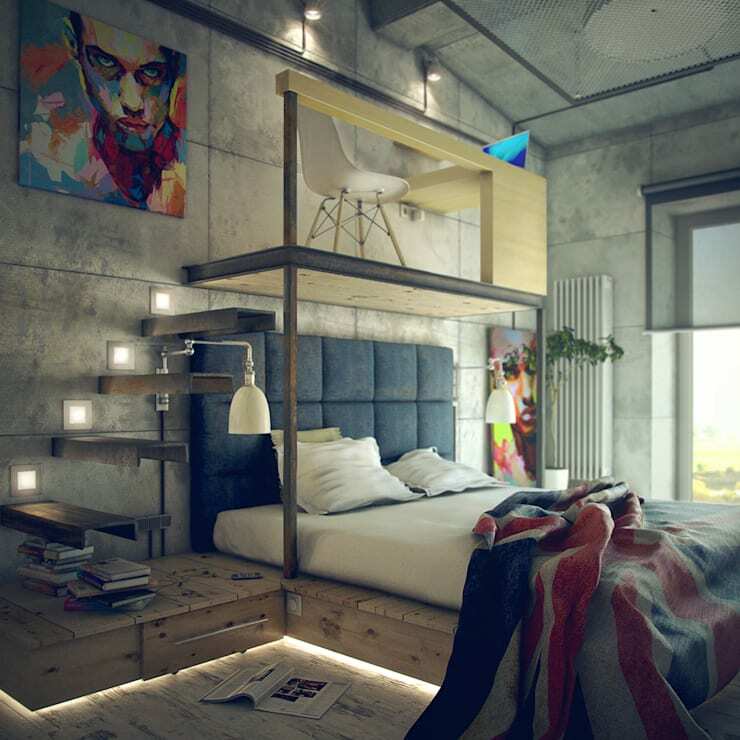 If you lack space, or even if you don’t, this bed will change the way you work and live in your abode. With a built-in workspace, this all-in-one bed is eye-catching and useful. Make a real statement with an eye-catching sleeping space that is sure to act as the highlight within your bedroom. This viridian green upholstered bed boasts a low profile, while matching the contemporary wainscot wall motif. 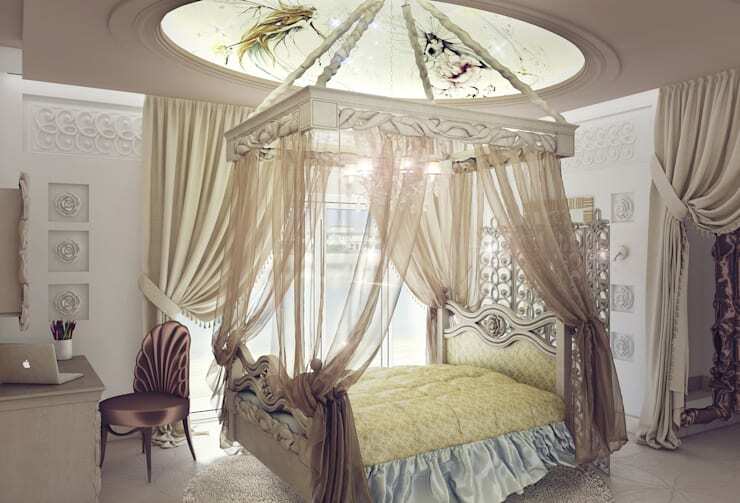 Last, but certainly not least, we check out a royal-style bed and bedroom. Centrally positioned within the area, this lavish bed comes replete with sheer curtains, and all the trappings and trimmings. Would you like some more bedroom design advice? Check out: 9 budget-friendly steps to a luxury bedroom and continue reading! What are your must-have bed essentials? Let us know below!